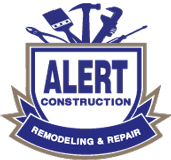 Alert Construction works in the the Triad including the towns, cities and counties listed below. We provide roofing, deck, patio, painting, building and General Contractor services to our customers. Just contact us below to get started!